The Takeaway: A lot went down at ShopTalk 2016. Here's a recap of everything you either saw and forgot or didn't see but wish you did. What happens when all of the world's biggest brands and retailers get together in Las Vegas to discuss commerce and its future? You get ShopTalk. Especially for an inaugural conference, this gathering was impressive, given the sheer volume of insights and game-changers. There was a lot going on - so much that it was definitely difficult to take it all in. That's what this blog post is for. Here are the six biggest and best takeaways from ShopTalk 2016. 1. It's time to embrace the idea of distributed commerce. During a keynote presentation, Gerald "Jerry" Storch, CEO of Hudson's Bay Corp., made it clear that all brands and retailers need to use digital channels to improve in-store shopping experiences. But it goes beyond that. "The future [of retail] doesn't belong to Internet-only companies," said Storch, according to the Associated Press. "It belongs to customer-facing brands that meet the needs of the customer, however she wants it, whenever she wants it. All companies will be Internet companies, or they won't be companies at all." In other words, omnichannel is dead. Brands need to distribute commerce and content across every channel and every platform. 2. You need to focus on the customer. Of course, this way of thinking isn't new. But as more brands and retailers discover the importance of seamless customer experiences, it becomes clear that the channel doesn't matter - the customer and his or her satisfaction does, Nigel Oddy, CEO of House of Fraser explained. Birchbox CEO and co-founder Katia Beauchamp offered a similar sentiment. Brands and retailers must think about customers more holistically, considering what exactly consumers need to identify their shopping experiences as positive. Beyond that, there was a lot of buzz around focusing on the "core customer" - the main individual that brands and retailers are targeting. Katrina Lake of Stitch Fix said that you need to listen to those shoppers and create experiences based on their feedback. 3. The nature of the physical store is changing. There are two main ShopTalk takeaways here. First, brick-and-mortar continues to be incredibly important - a good reminder since everyone is shouting that the skies are falling. Shoppers are going to stores AFTER they've conducted research online. Alternatively, some consumers are going to guideshops and then ordering what they like. So, in a way, physical shops are really just transaction hubs that allow customers to try before they buy. That's why Andy Dunn, CEO of Bonobos, was so excited about his company's guideshops. With items like clothes, customers don't need them right away - they're content with waiting. Second, retailers should consider using stores as distribution hubs to stay competitive and keep shipping costs down. The AP reported that many of the major retailers - like Macy's and Target - are doing so. 4. Every brand and retailer should be using big data. It's really that simple. Every business - from brands to retailers to malls - are using big data in interesting and innovative ways that allow them to reinvent shopping experiences. Some are tracking customers and their habits in order to provide more personalized curations of products, while others are looking at data more broadly to identify larger shopping trends. As an example of the latter case, Revolve Clothing found that millennial women want expensive and rare items that enable self-expression, and that often means that segment opts for smaller brands over mass-market ones. 5. "Content is a big, hairy beast." That quote came from Naseem Sayani, group vice president of strategy at Huge, according to Olapic. 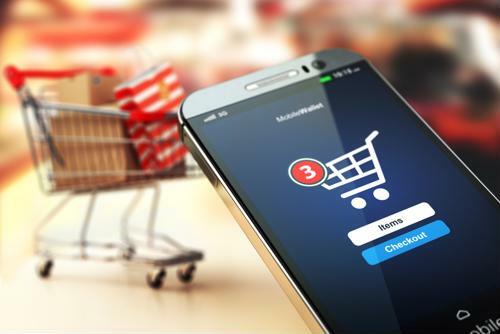 The point, which was also raised in the session "Preparing for Distributed Commerce," is that brands and retailers need to provide shoppers with information to help them make smarter purchase decisions. After all, most product research happens online nowadays. Product content also ensures that consumers are happy with their ecommerce purchases. For example, during a panel with some members of Generation Z, one individual said, "[An item] never looks the same way as it does in a picture," according to The Dallas Morning News. Regardless of what brands and retailers sell, they all rely on technology to optimize shopping experiences. Westfield is doing some really cool things by bringing technology into malls, and online to offline commerce is taking off and becoming the norm. Lastly, the retail industry needs to bridge the gap between physical and digital, making mobile shopping one of the most important aspects of customer experience. There was a lot going on at ShopTalk 2016, so we might have missed some key takeaways. What was the most important thing you heard at ShopTalk? What did we miss? Or what excites you the most about the year to come in retail?